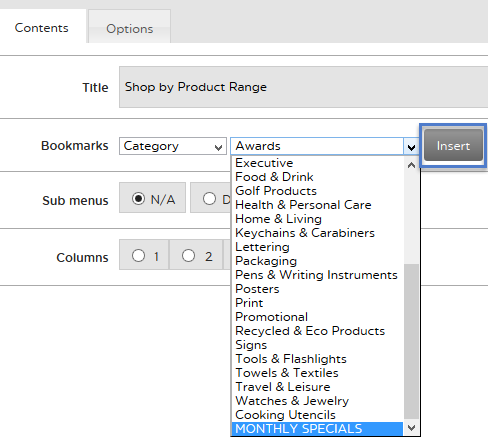 Step 2: From your Home page, select Categories from the Products dropdown. Step 4: To display the category that you added, select Overall Layout from the Style dropdown. Step 5: Locate the Category Bookmark Module, and click on the “pencil” edit button. 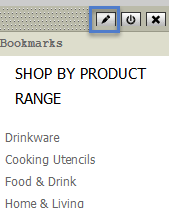 Step 6: Select Category from the Bookmarks dropdown. 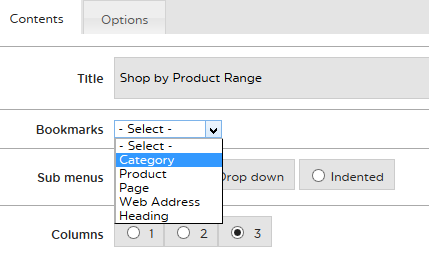 Step 7: Select the Category Title from the dropdown and click the insert button. Then Click Save located in the top right of the screen. Step 9: To view your changes click View Site. You have successfully added a category to your website.